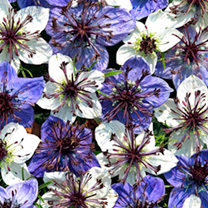 A superb border filler this plant produces pretty, delicate foliage some with little flowers like cornflowers, followed by ornamental seeds pods; a lovely gentle addition to your garden. 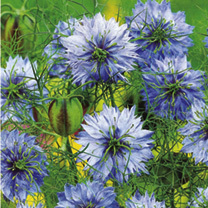 A hardy annual, Nigella seeds needs to be sown outdoors between March and May for flowering from July to September. 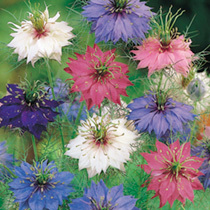 Alternatively the seeds can be sown in September to bloom between May and June the following year. 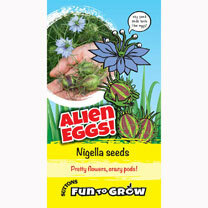 Nigella seeds normally germinate within 14 to 30 days. 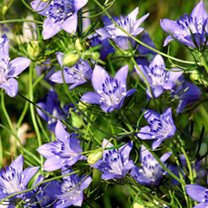 As the seedlings develop thin them in stages to achieve the final spacing of 20cm apart. Any spare plant use to fill spaces but be careful not to disturb the young plants.